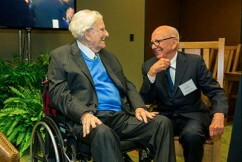 A 95th birthday party sounded nice. 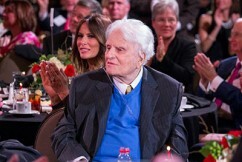 But when Billy Graham was asked about plans for such a landmark celebration, the world-renowned evangelist raised an eyebrow to his close friend and pastor. “He’s afraid people have forgotten who he is,” Franklin Graham said. The evening began with a showing of “The Cross,” a 30-minute My Hope America short film, featuring a Gospel message that Mr. Graham has passionately wanted to preach for the past three years, along with life-changing stories from musicians Lecrae and Lacey Sturm. Franklin Graham became the night’s “Matthew” host, giving a short testimony about how he waited 22 years before realizing he “was sick and tired of being sick and tired,” and extended the same invitation to accept Christ. The evening program wrapped up with former Alaska Gov. Sarah Palin sharing about her mother making a decision to follow Jesus through a televised Billy Graham Crusade, which impacted her entire family for Christ. FOX News host Greta Van Susteren finished off the night by leading a cupcake-and-candle-infused “Happy Birthday” group singing, bringing up Michael W. Smith, Lecrae, Lacey Sturm, Kathie Lee Gifford and Ricky Skaggs for musical harmony. She offered a personal gift to Mr. Graham “by not singing” herself. Mr. Graham then addressed the crowd twice at the end of the program. First, to thank his ministry partner and dear friend, Cliff Barrows, “for all that you have meant to me through all these years.” The second, to recognize his grandson, Edward Graham, an Army Major. “We’re so proud of you,” he said. Will Graham, vice president of BGEA, is proud of his grandfather, whose ministry is still active, long past the normal retirement age. 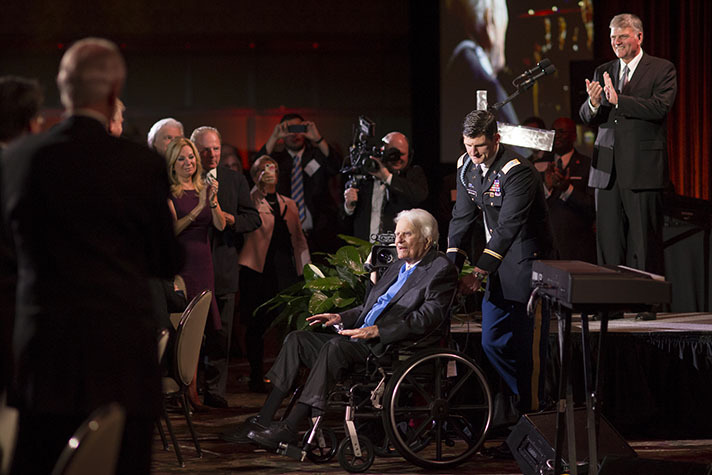 Very few know this better than Cliff Barrows, 90, who has been a ministry partner with Mr. Graham for more than 60 years, and took one more opportunity to thank his dear friend.